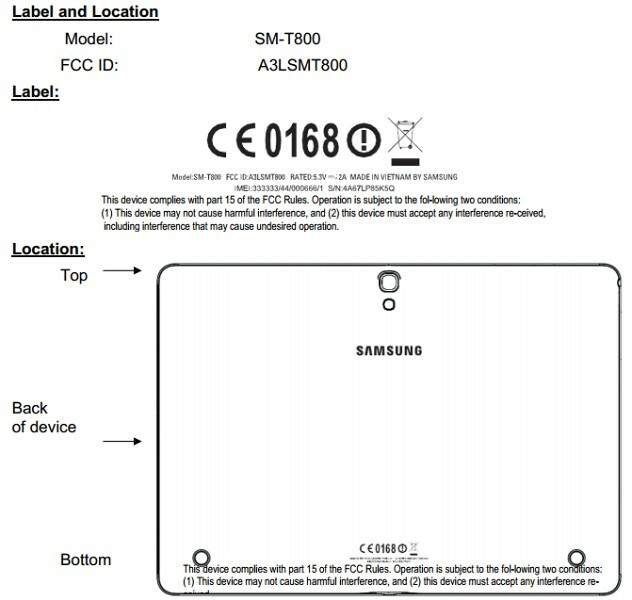 An unannounced Samsung slate that goes by the model name SM-T800 has passed the FCC. It looks to be the Wi-Fi-only variant of the SM-T801 and SM-T805, which got their evaluation last month. The SM-T800 has been leaked before in a benchmark test which pointed to an Exynos 5 Octa chipset with four Cortex-A15 cores running at 1.9 GHz, 3 gigs of RAM, 16GB of built-in storage, 8 MP and 2 MP cameras on the back and front. The slate runs on Android KitKat 4.4.2 and could sport a 2560 x 1600 10.5″ AMOLED on the front. After taking into account the suggested specs, which are pretty top-class we can see this as the next-gen flagship slate for Samsung. 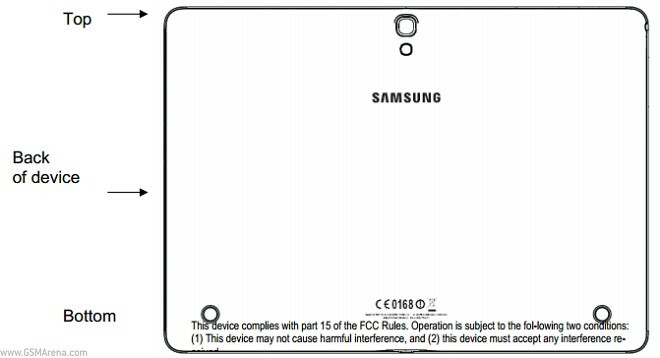 Its FCC approval comes just after Samsung announced the affordable Galaxy Tab 4 7.0, 8.0 and 10.1 – all of which tipping the resolution at 1280 x 800 – far from the rumored WQXGA of the SM-T800. So far we’re dealing with one FCC listing and a whole lot of guessing so we might as well wait for the real deal before we get too excited. Or at least some more concrete information.